From the time that the Torah was given until the destruction of the second Temple (with short periods of interruptions) the observance of Yom Hakippurim was fairly uniform. The religious activities of that day were entrusted to one man: the High Priest. He represented the entire community of Israel. The people themselves, however, did not engage in any of the religious activities. They stood by silently and watched the proceedings. After the destruction of the Second Temple, two millennia ago, the Temple ritual ceased and there was no longer a high priest to represent the people of Israel and acquire for them the forgiveness of God and absolution for their sins. The process of Kapara or absolution, would now be thrust directly upon them. How did the Rabbinic tradition adjust to this new situation? How did they remain true to the system established by the Torah? In order to answer these questions, we must turn our attention to what specifically brought about Kapara or absolution on Yom Hakippurim during the days of the Temple, and what accomplishes that today in the same vein. It is evident that the Seir Hamishtaleiach (the goat sent into the wilderness and hurled to its death) and the ritual of the High Priest during the day of Yom Hakippurim were the crucial elements which rendered the possibility of absolution during the time of the Temple. There is a controversy in the Talmud between Rebbi and the Rabbis whether these rituals also required the people to do T’shuva in order to receive the Kapara. Rebbi maintained that T’shuva is totally unnecessary for Kapara, while the Rabbis make it absolutely necessary (see Yoma 85b). In such a controversy between an individual, (Rebbi) and a group (the Rabbis) the law follows the majority. The Rambam rules that all the methods of achieving kapara require the element of T’shuva. Mishneh Torah, T’shuva 1:2-4. “Today, when the Temple no longer exists, and we do not have an alter for Kapara, there is nothing but T’shuva. T’shuva offers Kapara for all sins.”Mishneh Torah, T’shuva 1:3. Although it is true that T’shuva is necessary for Kapara for all sins, in reality, depending upon the sin, there are other elements that are also necessary in addition to the T’shuva. For example, if one transgressed a negative command (Lo Taaseh) which does not occasion the penalty of Karet (heavenly death) or death by judicial decree, and the person did T’shuva, the T’shuva is held in abeyance until Yom Hakippurim arrives and effects the Kapara. If a person transgressed a sin which brings about either Karet or judicial death and the person did T’shuva, both T’shuva and Yom Hakippurim are held in abeyance until physical suffering occurs to him to complete the Kapara. If one commits a sin which desecrates the name of God, even though he did T’shuva, Yom Kippur and suffering are not sufficient for Kapara, but death will bring about the Kapara. Mishneh Torah, T’shuva 1:4. If this is true, that T’shuva and these other aspects bring about Kapara, then what is special or unique about Yom Hakippurim and how do we relate today to the Temple service of that day? The special element of Yom Hakippurim is the communal confession of the High Priest and in our observance of Yom Hakippurim today, we have a direct connection to the service in the Temple through the Vidui (Confession). This is significant because, in a sense, through the Vidui, we assume the role of the high priest and the Vidui we state on Yom Hakippurim brings Kapara not just for us, but for all of Israel (who have done T’shuva). This is why even if a person performs T’shuva during the year and says vidui, he must still wait until Yom Hakippurim for the completion of his Kapara, for it is then that Kappara is given to all Israel and enables him to be included in Klal Yisrael through the Vidui which is said for all of Israel. “And he (the High Priest) shall render Kapara” (V’chiper) (Leviticus 16:11). Is the text referring to Kapara based upon words “Kaparat Devarim” or the Kapara of sacrificial blood “Kaparat Damim?” It says here “kapara” (i.e. when the High Priest confesses for himself and his family over the Par Hachatat (the ox for sin offering)) and says later “kapara” (the confession over the Seir Hamishtaleiach on behalf of all Israel). Just like the Kapara stated over the goat was with words (because the goat was still alive when the words were stated) so is the Kapara over the Par Hachatat (the ox) based upon words. Yoma 36b. And this is what he (the High Priest) said, “I beseech you God, I have transgressed, violated, and sinned before you, please in the name of God offer Kapara to the transgressions, violations, and sins which I transgressed, violated and sinned before you as it is written in the Torah of your servant Moses, “on this day you will find absolution” (Leviticus 16:30) Yoma 35b. “If he (Shliach Tzibur) only said, “we sinned” he does not need to say more.” Yoma 87b. The Vidui could also be expanded to a whole catalogue of transgressions such as the “Al Chait” which we say ten times during the day. 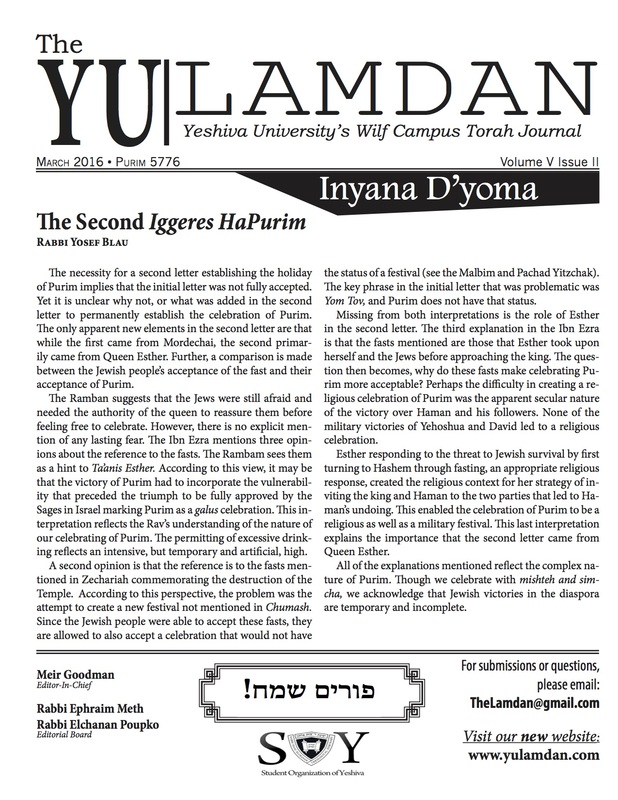 The Rambam maintains that the concept of Vidui is so important, that it must occur as the conclusion to the process of T’shuva. T’shuva is inherently an internal process, which consists of the elements of regret of sins committed; the repentance for the commission of the sins; and the resolution not to commit the sins again. After that internal process has occurred, T’shuva can only have meaning if that process is expressed verbally through an act of confession before God. This confession is considered a positive commandment. The process of T’shuva and the resulting act of confession must accompany all sacrifices brought for transgressions as well as punishments that are meted out by the court. See Yoma 87b, Mishneh Torah, T’shuva 1:1. Thus we see, that although T’shuva and its concomitant requirement of Vidui is available and indeed required all year round, the concept of Vidui on Yom Kippur has a special significance for it brought about Kappara for all Israel and united them in a shared destiny. It is this Vidui which connects our service today with the service in the Temple and which enables the day itself of Yom Kippur to bring about Kappara.